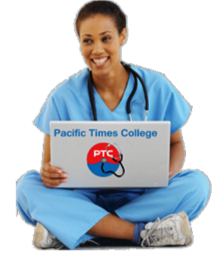 At Pacific Times Healthcare College, we try our best to help our students to not only receive the education they need to enter into the healthcare field, but also provide them with the professional and competitive edge that sets them apart from all other healthcare professionals. If you are already a healthcare provider, we will equip you with current and in-demand skills. Our mission is to make our student’s resumé the employers’ first choice. As Healthcare Educators, we know firsthand that becoming proficient in a skill can only be achieved through intensive “hands on” training. This is why in addition to theory, we emphasize on “hands on experience” by use of simulation equipments. We understand that as our client, you have a very busy schedule. Our class schedule offers many opportunities for flexibility that guarantees you to get your certification in time. Check our school out for yourself and get started on a new career. Don’t wait! Visit or call us today!